For National Poetry Month, Mikko and I have been enjoying some poetically inspired picture books. So many children's books are poems, but these have been especially lyrical, and the beautiful illustrations help the poetry along. Reading aloud books like these helps me remember that poetry was created to be spoken. 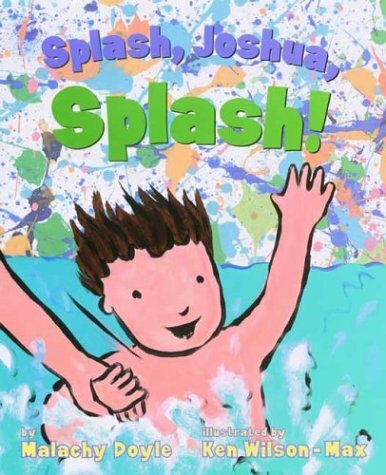 Lovely, lilting story of a water-loving little boy on a day spent with Granny, culminating in a thrilling trip to the local pool's water slide. The language begs to be read aloud — nearly sung. After the slide adventures, the text quiets down by describing the cozy, dozy bus ride back home. Bonus points for showing a grandmother caregiver (and an active one at that), a farmer's market, multiethnic pool-goers, and public transportation. I really like this one. Divided into two sections, these dual poems follow day and night sounds (appropriately enough). I loved that the daytime poetry was more singsongy and bright, and the nighttime poetry sounded muted, with quiet touches of hesitation from the lulls in the meter. In the day, two children get ready and go off to school, coming home to celebrate the arrival of a new baby sibling. Night then follows those early lullaby newborn moments, enhanced by a first snowdrift outside. The text without the pictures might make you think of more literal interpretations of the words, but the charming illustrations bring you into this particular family's story. With the watchman in question being the father checking on his children. I will point out that the baby is fed from a bottle by the dad before being placed into a bassinet, and there's an implication that the wee one was hospital-born, but none of that seemed distracting to me or to Mikko. There's an obvious love the older siblings share for the new arrival, which is very sweet, and I admired seeing the dad in the book so involved in the housekeeping and childcare. I've mentioned this one recently, but it fits so well with the poetry theme. 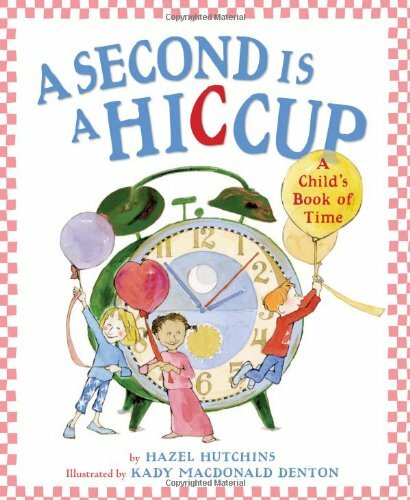 This is a children's book to explain time. It starts with the analogy that a second lasts as long as a hiccup, and it goes from there, in lyrical verse, from minutes to hours to days, all the way up through years turning. I love the creative and poetic metaphors describing time in concrete terms, the language (particularly at the end) makes me a little teary-eyed, and the gentle watercolors are a light and lovely match. 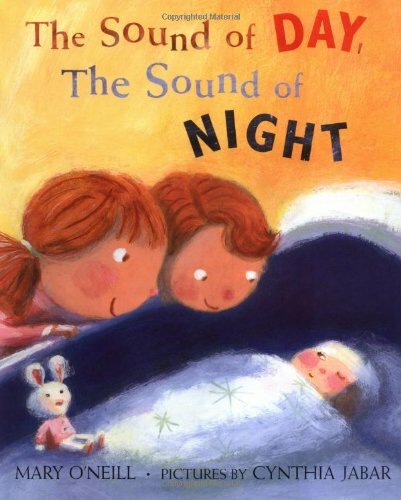 It's one of those rhythmic, toe-tapping reads that makes you happy to have a toddler to read to, like Hand, Hand, Fingers, Thumb, which I mentioned before, and Bear Snores On . The wordplay and meter arc and flow through a jazz improvisation as the baby sways and bebops with glee, before settling down to sleep, deep, deep, deep...oh, yeah. 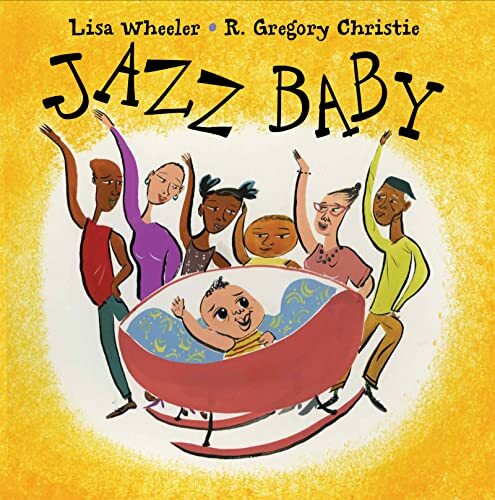 Jazz Baby makes me happy as a parent, too, because it demonstrates a Continuum-happy lifestyle where the baby is surrounded by nurturing family members, neighbors, and friends of all ages and both genders. There is no disrespect for baby here, or for any age. Everyone's musical contributions are valid, and I think — and maybe I'm reading too much into this, but I'll go with it — that that shows that every person is validated and honored as well. And, hey, as I mentioned, it's stinkin' fun to read! 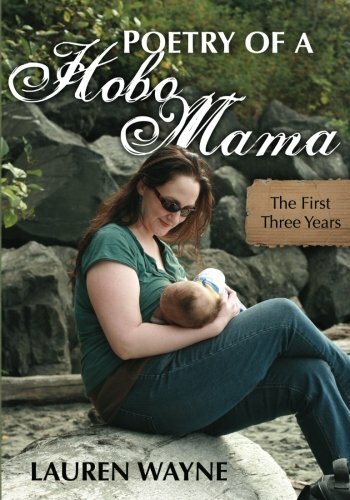 A reminder that I'm giving away SEVEN copies of my parenting poetry book, Poetry of a Hobo Mama. 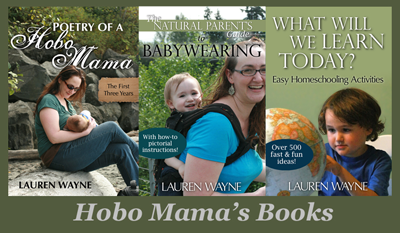 Please read the lovely reviews from the talented bloggers, enter the giveaway, and enjoy the parenting-inspired poetry! This giveaway ends Monday, April 30, and is open worldwide. What are your favorite poetic children's books?